Discerning the talents of job candidates is no longer just about their schooling and previous work experience. Applicants at a Tufts Medical Center job fair in September, where it used skills test for the first time. This story is part of the Globe’s annual 2017 Top Places to Work issue. Look for the list of winners online Thursday evening. Jessel-Paul Smith was nervous as he walked into a recent job fair at Tufts Medical Center; the 41-year-old had spent a full decade out of the workforce, a gap he thought could work against him. But the manager who interviewed him focused instead on a skills-assessment test Smith had just taken — and aced. The test “shows how well a person thinks and how well he can react to certain situations,” says Smith, a Brockton resident. His greatest strengths, according to the test: communication, adaptability, and customer service. The September job fair marked the first in which Tufts, with about 5,300 employees, used skills assessments to complement the work experience and degrees of potential employees. 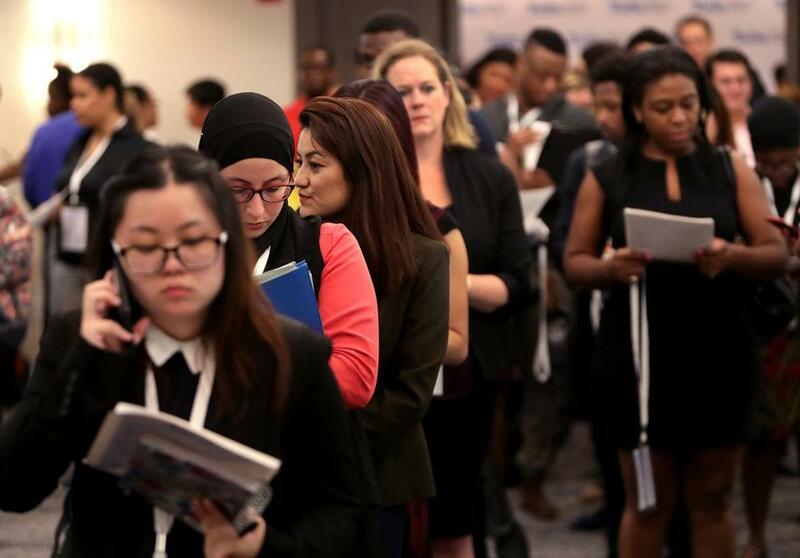 The strategy, which is being used by employers nationwide, opens up a new pool of talent that had been previously overlooked, advocates say. The Boston hospital offered the skills assessment to people applying for food service, cleaning, and administrative desk jobs. In particular, hospital managers wanted to evaluate candidates’ strength in customer service and patient interaction, says Sean T. Sullivan, Tufts’s vice president of human resources. These are important skills for all Tufts employees, not just those who care directly for patients, and he says college degrees have not been a good proxy for gauging if a person is likely to have good customer service skills, or can readily adapt as situations change. The skills test, which is optional for job applicants, helps Tufts more fully “understand where people’s strengths might be,” Sullivan says. The skills assessment, called Core Score, is a computerized multiple-choice test on scenarios involving patient and workplace issues. It also asks test takers to describe their work habits and how they approach work. Tufts developed Core Score with Innovate+Educate, a Santa Fe-based nonprofit that has worked on skills-based hiring with companies including CVS Health, Kroger, Starbucks, Lyft, and Lowe’s. The nonprofit’s focus is on entry-level jobs, as well as helping people in those jobs advance to higher positions. 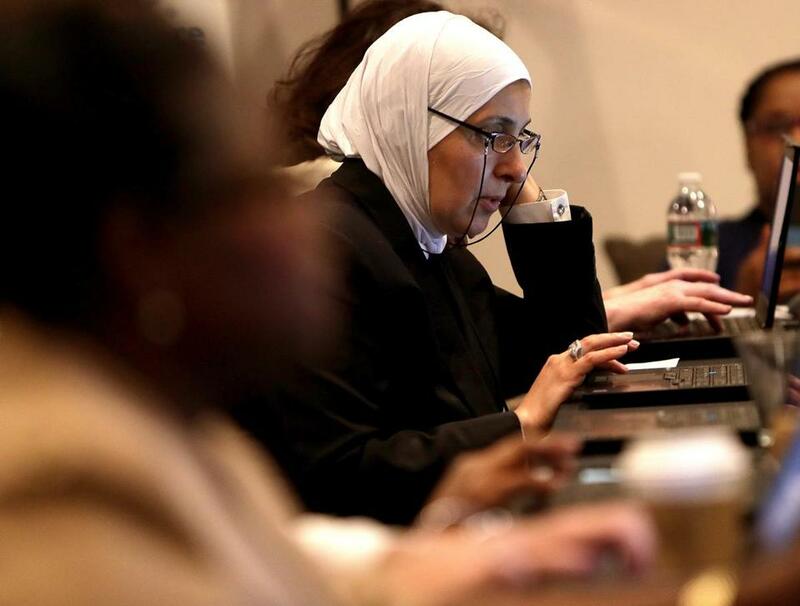 At the job fair, Hanaa Alshaleh took an assessment test. “We think the resume has become archaic in the way you look at talent,” says Jamai Blivin, founder and chief executive of Innovate+Educate. Blivin says employers in many industries are trying to broaden their pools of job candidates by paying more attention to skills. She and other advocates of the approach say there’s a big potential payoff for businesses: If they hire people well suited to a particular job, they will retain more employees and spend less time and money on hiring in the long run. A focus on skills over work experience can help address mismatches between job openings and people who are unemployed, says Mary Allen, a spokeswoman for the New York-based Markle Foundation, which also promotes skills-based hiring. By mid-October, Tufts had given its test to more than 400 job applicants. Thirty were offered jobs, and others were expected to get offers. One of those offered a job was Smith. Smith says he had applied for jobs at other hospitals and universities, but been passed over. He’s grateful the test revealed skills that helped him catch the organization’s eye. As practice coordinator for Tufts’s ophthalmology department, he answers phones, schedules appointments, and handles paperwork, among other duties. But — as his test score indicated — the part he most enjoys is talking to patients. “The social part is where I tend to flourish,” Smith says. Priyanka Dayal McCluskey is a Globe staff writer. She can be reached at priyanka.mccluskey@globe.com. Follow her on Twitter @priyanka_dayal.